WRA Engineering is excited to announce our civil engineering support of the new Guy Harvey Outpost Resort. Dr. Guy Harvey, the famous Florida marine artist, scientist and conservation advocate is teaming with Elite Resorts (an RV campground manager and developer) to break ground this summer on this environmentally-friendly resort which features a clubhouse, pool, bike path, nature center with an observation tower, children’s camp, exercise center, dog park and high-speed property-wide Wi-Fi. The resort is built to attract a specific demographic: college grads with an appreciation for outdoor activities, such as fishing, biking, and hiking. 70 loft-style high end cottages will start at $250,000, and the 270 outfitted paved RV lots will start at $150,000. 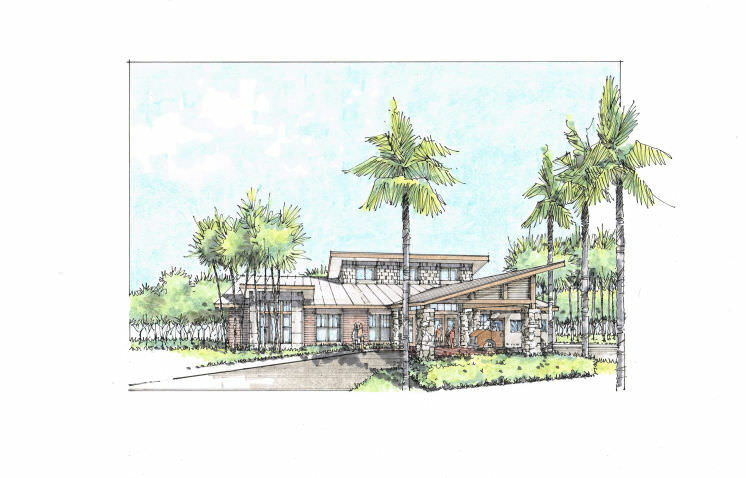 The cottages will range in 400 to 500 square feet, the RV lots will be 3,200 square feet. Cottages will be two-bedroom solar-paneled, and fully furnished. The RV lots come with electric, cable, water and sewer services. “The amenity of choice among today’s leisure travel guest, especially those traveling with families, is outdoor recreation and connecting with nature,” said Mark Ellert, president of Guy Harvey Outpost. The 66-acres of the Guy Harvey Outpost Club and Resort have been reviewed and designed by the civil engineering team at WRA Engineering. This Tarpon Springs Civil Engineering project is located in Pasco County in Holiday, just north of Tarpon Springs, and adjacent to the Anclote River Park. The resort is targeted to open in spring 2018.